Dwelling prices across Australia’s capital cities rose a combined 1% in September according to the latest figures from CoreLogic. According to CoreLogic’s September Price Index, the median price for a dwelling in an Australian capital city now sits at $575,000, up 2.9% over the September quarter and 7.1% in the year to September. Over September, Canberra saw the strongest monthly price growth with its median dwelling price increasing 2.4% to $556,800, while Melbourne saw growth of 2.3% to $590,000. In Adelaide, the median dwelling price grew 2.1% to $418,000 over September, while Sydney’s median grew 0.8% to $785,000. Brisbane and Hobart saw both saw their me3dian dwelling prices rise 0.1%, while Perth and Darwin saw price falls of 2.5% and 2.2% respectively. Over the September quarter, Melbourne saw the strongest growth at 5%, followed by Canberra at 4.5%. Sydney saw quarterly growth of 3.5% and Adelaide 2.6%. The worst performing market in the quarter was Darwin where the median dwelling price fell 4.5%, while Perth saw a price fall of 3.2%. Brisbane also saw a 0.3% fall over the quarter. Year-on-year, Perth and Darwin were the only markets to see price falls, with their median dwelling prices down 7% and 6% respectively. Sydney was easily the strongest performers over the year, with its median dwelling prices up 10.2% 12 months to September, while Canberra and Melbourne both recorded yearly growth of 9%. The median dwelling price rose 8.7% in Hobart, while Adelaide also saw strong growth at 6.5% year-on-year. “Since the end of 2008, Sydney dwelling values increased by almost 95% and Melbourne dwelling values are up 80%. Canberra is the only other housing market where the cumulative capital gain has been greater than 20% post GFC” CoreLogic head of research Asia Pacific Tim Lawless said. In comparison to the strong price growth seen in many markets, Lawless said the rental market has lagged. “While we’ve seen values remain relatively strong, in contrast, rental yields have been in the doldrums due to the fact that residential property values are rising at a faster rate than weekly rents,” he said. Nationally, houses are returning rental yields of 3.2%, while units are returning 4.1%. 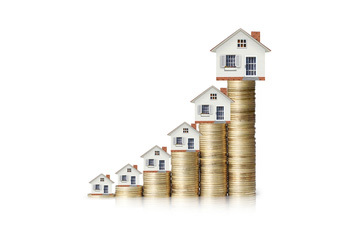 The strongest house and unit yields are in Hobart at 5.2% and 5.5% respectively.